WOW Air, the Icelandic discounter known for its $99 one-way fares to Europe, announced Chicago as its latest U.S. destination. WOW is set to begin flying from Chicago’s O’Hare International Airport on July 13. The airline will fly four weekly flights – one round trip each Monday, Wednesday, Thursday and Saturday – to its hub near Reykjavik. Connections will be available via Reykjavik to 23 European destinations, including Amsterdam, Berlin, London, Frankfurt and Paris. WOW will fly Airbus A321 narrowbody jets on the route. As it typically does when announcing new cities, WOW rolled out sale fares of $99 one-way to Iceland ($169 and up on the return) and $149 to connecting ($189 and up return) destinations elsewhere in Europe. A quick search of the carrier's website on Monday morning showed some $99 fares were available, though the availability of those fares was somewhat limited. While WOW's base fares are often sold at rock-bottom prices, customers should know they'll pay a fee for nearly everything beyond a guaranteed seat somewhere on the plane. Part of a new breed of "ultra low cost carriers" that are expanding both in the USA and around the world, WOW charges a fee for everything from seat assignments to carry-on bags. The announcement highlights WOW’s continued rapid expansion in North America. Chicago will become WOW’s eighth destination in the United States. WOW launched in 2012 and began flying to the United States in 2015. WOW’s other U.S. destinations are Boston, Baltimore/Washington, Los Angeles, Miami, Newark and San Francisco. Flights to Miami begin next month while Pittsburgh flights launch in June. WOW Air also flies to two Canadian cities, flying to Reykjavik from both Toronto and Montreal. 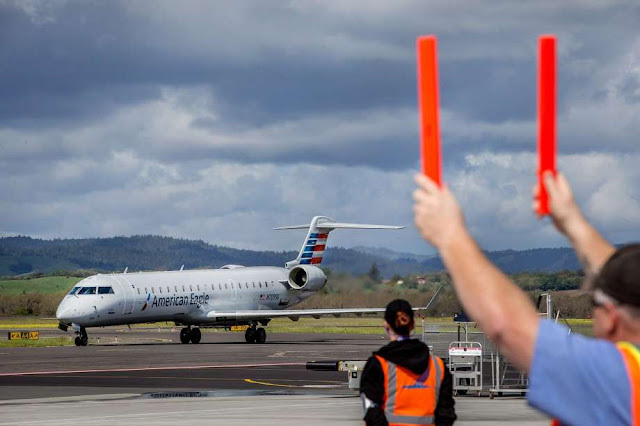 The Bay Area economy is doing so well that even smaller airports are adding fights. In fact, Sonoma County Airport in Santa Rosa has gone from one carrier to five over the last two years. SFChronicle.com has a look at what's fueling that growth. Meanwhile, San Francisco International Airport, Oakland International Airport and Mineta San Jose International Airport have all added flight routes to new markets over the past year, leading to an increase in passenger traffic across the board. They’ve got even more planned for 2017. 0 Response to "Flying high: Bay Area airports all launching new flights"